The first fossil remains of this dinosaur were discovered in early August 1963 by a team of Professor Zofia Kielan-Jaworowska at Tsagan Khushu during a Polish-Mongolian expedition to the Gobi Desert of Mongolia. The find was reported by her in 1965. In 1972, it was named and described by paleontologists Rinchen Barsbold, Halszka Osmólska, and Ewa Roniewicz. The only named species is the type species Gallimimus bullatus. The generic name is derived from Latin gallus, “chicken”, and mimus, “mimic”, in reference to the neural arches of the front neck vertebrae which resemble those of the Galliformes. The specific name is derived from Latin bulla, a magic capsule worn by Roman youth around the neck, in reference to a bulbous swelling in the braincase on the underside of the parasphenoid, in the form of a capsule. The holotype specimen, IGM 100/11, consists of a partial skeleton including the skull and lower jaws. It is a larger skeleton; several other partial skeletons have been described, most of them of juveniles, and numerous single bones. 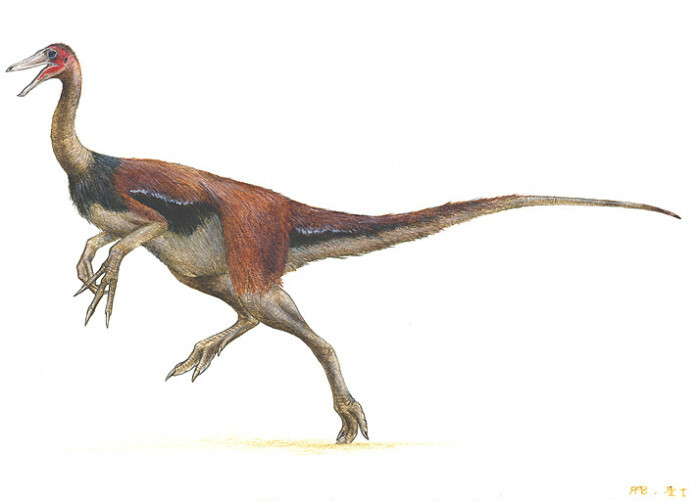 A second species announced by Barsbold in 1996, “Gallimimus mongoliensis” based on specimen IGM 100/14 from the older Bayanshiree Formation, has never been formally referred to this genus. 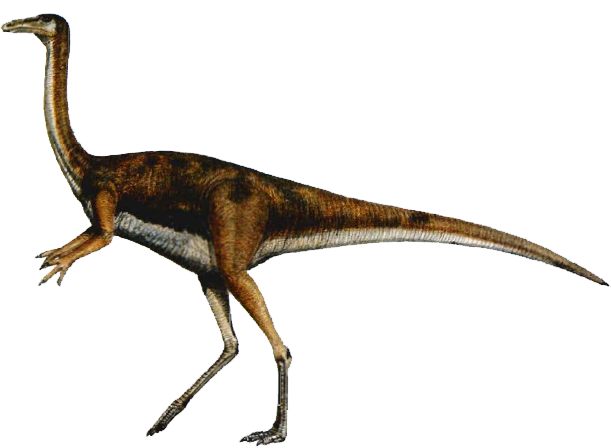 In a reanalysis of the nearly complete skeleton of “Gallimimus mongoliensis” Barsbold concluded in 2006 that it is not a species of Gallimimus but may represent a new, currently unnamed ornithomimid genus. The feeding habits of ornithomimids have been controversial. The original describers thought Gallimimus preyed upon small animals, using its long arms as rakes to remove covering plant material on the soil. Later suggestions included omnivory and herbivory.